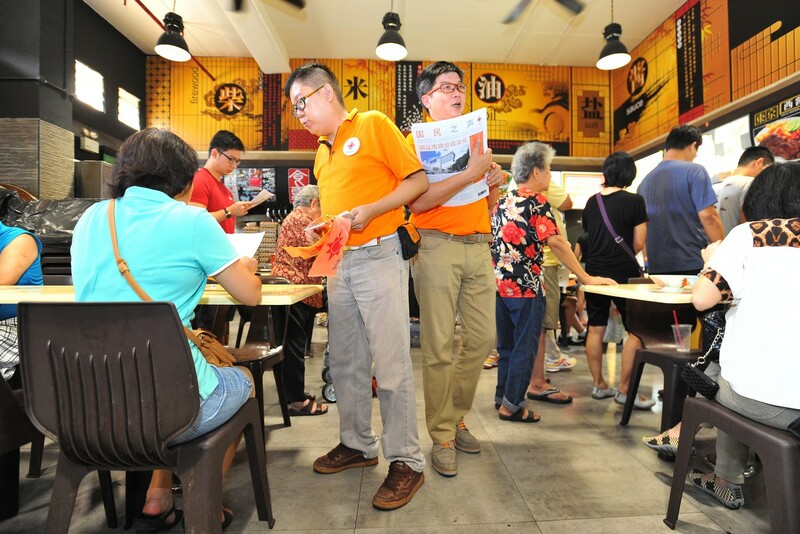 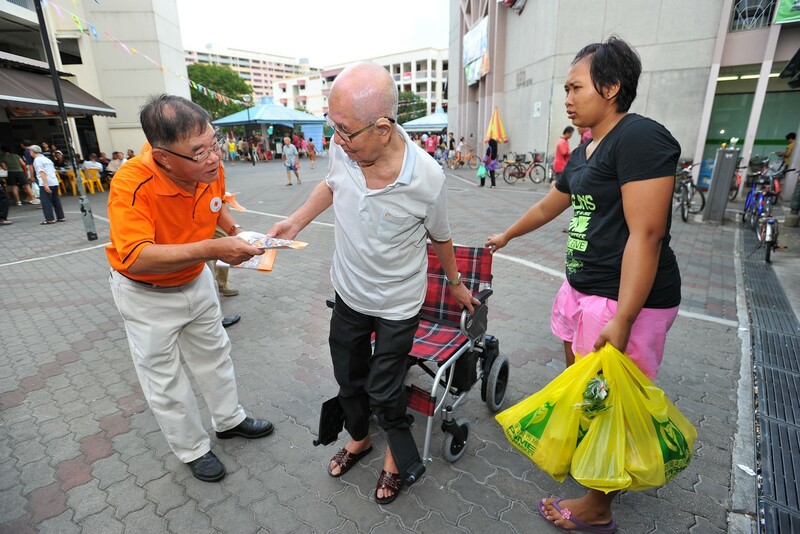 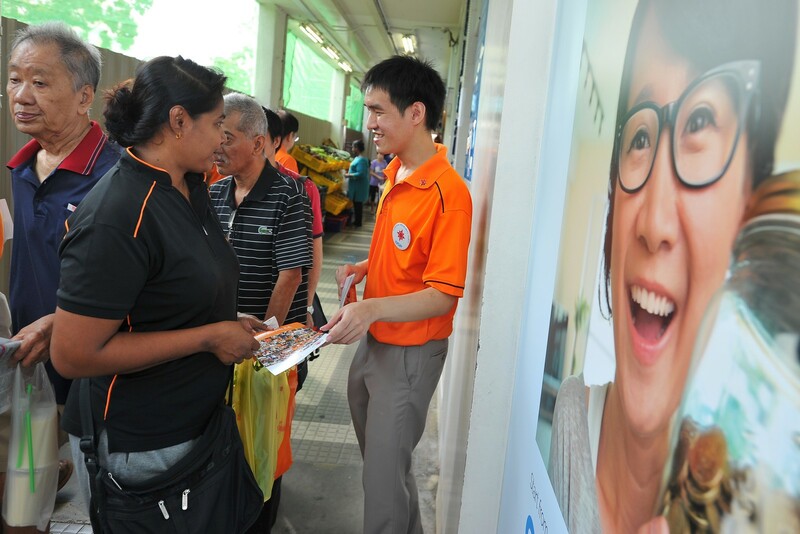 The Singapore Democratic Alliance distributed party leaflets and Singapore flags during a walkabout at Sengkang Square yesterday. 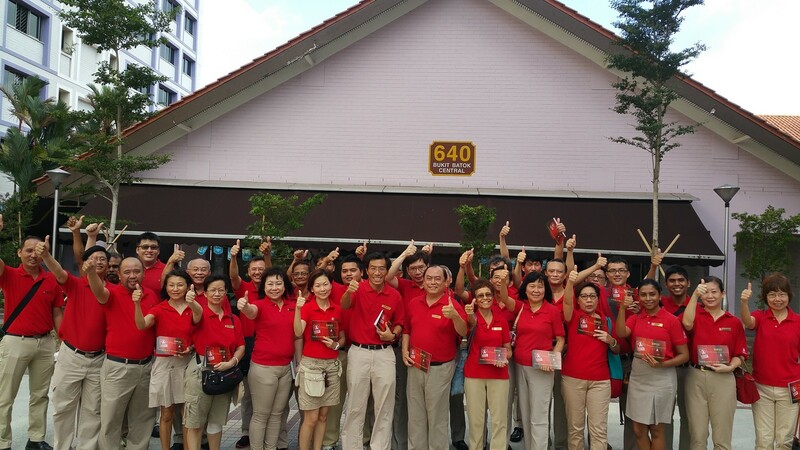 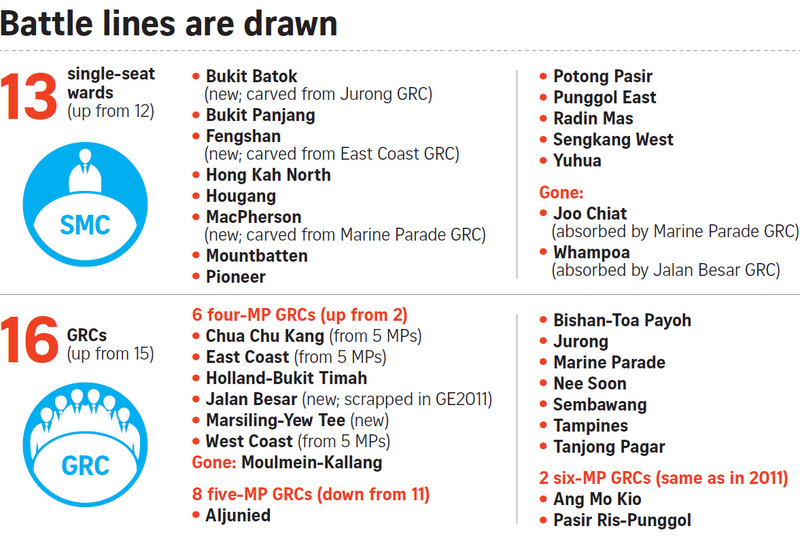 The party is returning to contest six-MP Pasir Ris-Punggol GRC. 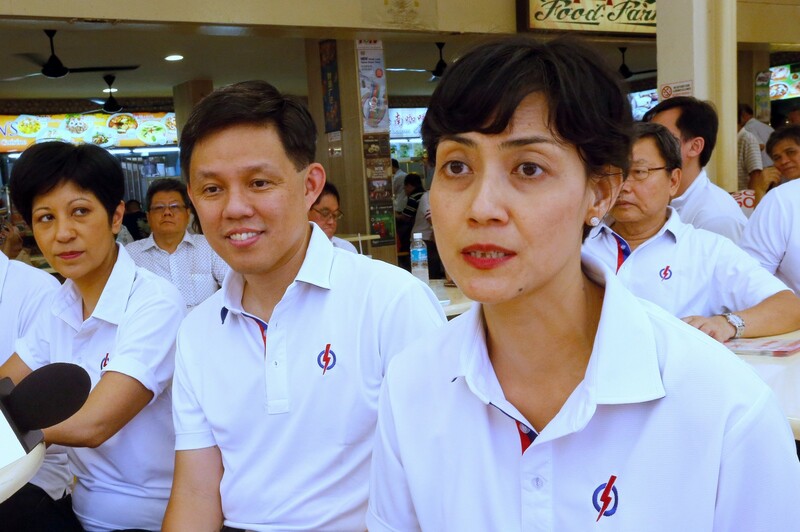 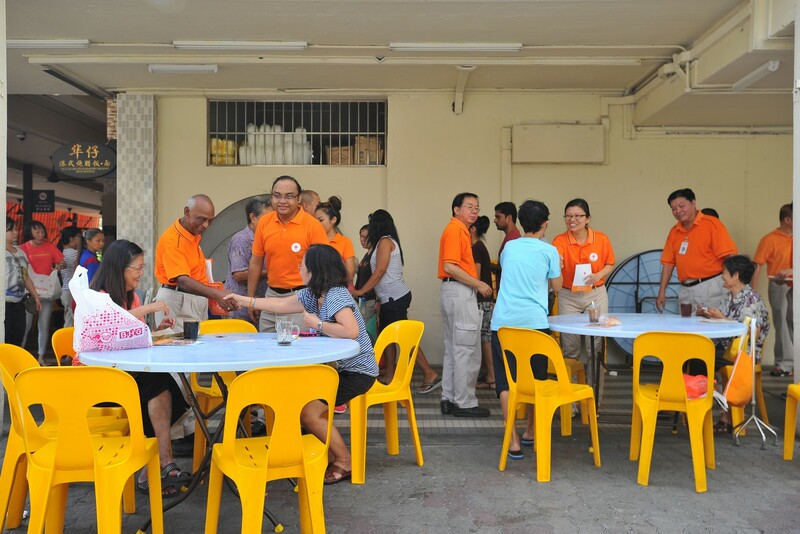 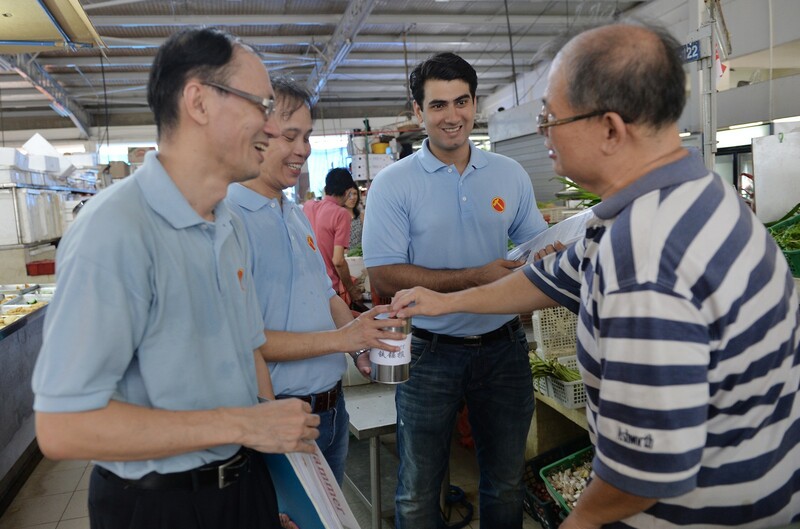 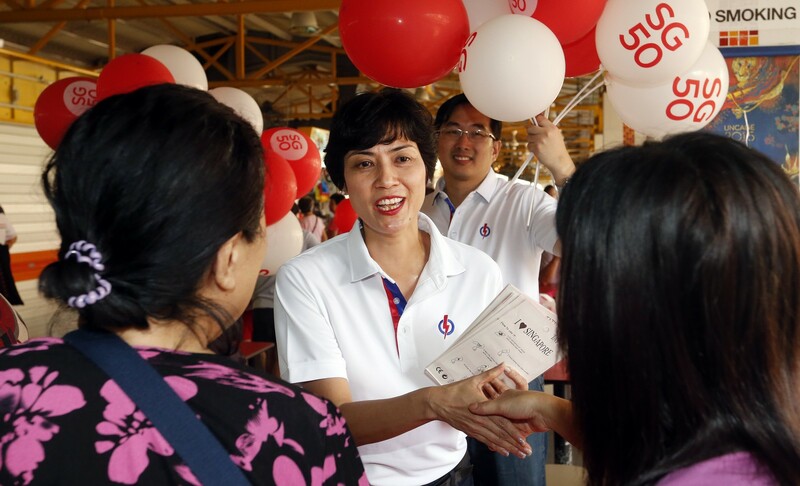 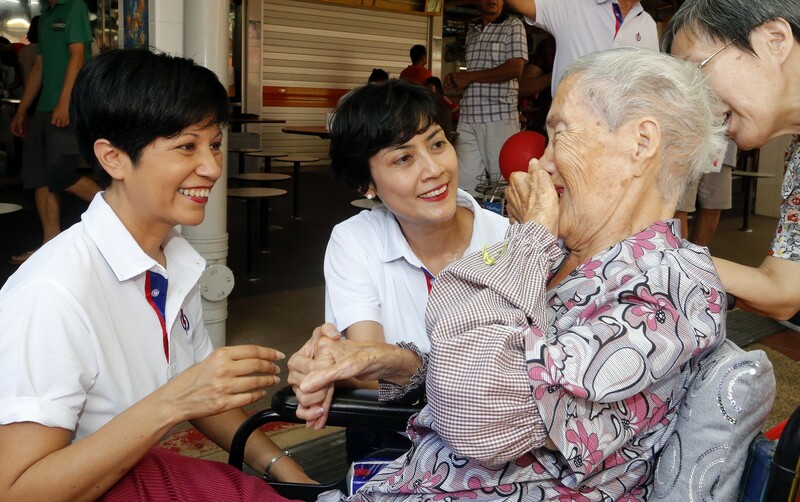 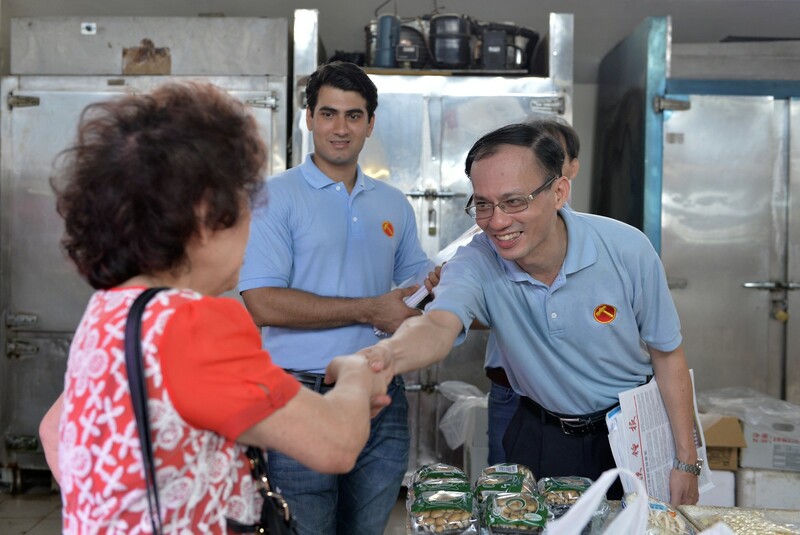 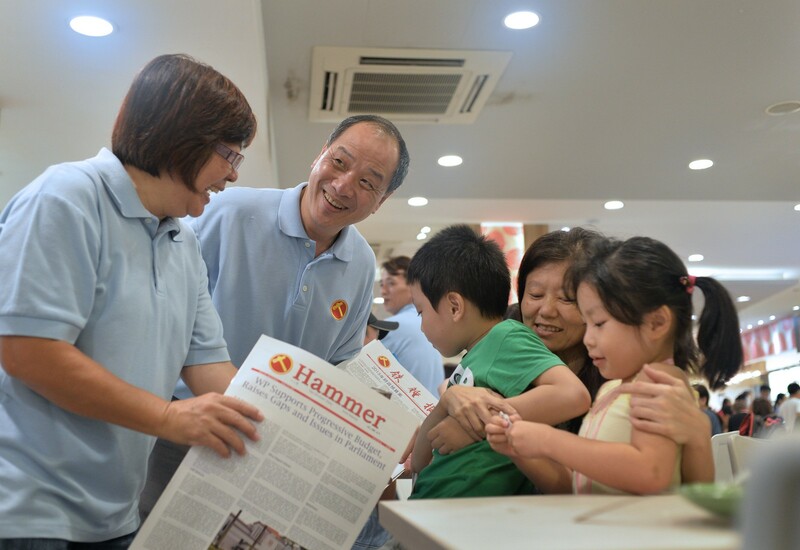 The Singapore Democratic Alliance (SDA) is returning to contest six-MP Pasir Ris-Punggol GRC, and yesterday gave residents a sense of its likely slate as three possible new candidates joined a walkabout. 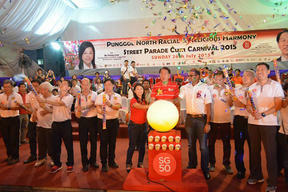 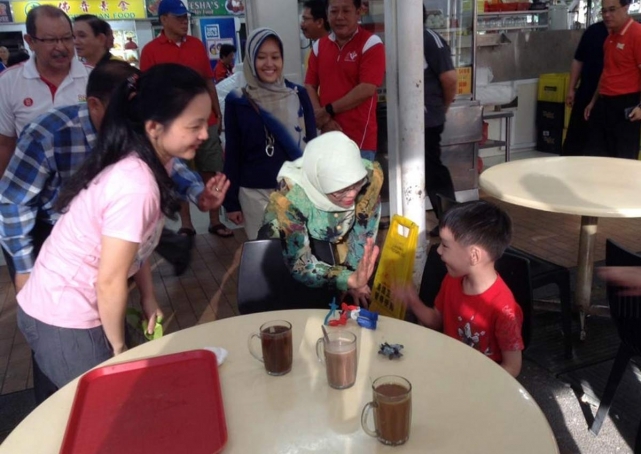 Dressed in the party's signature lime green polo T-shirts, IT executives Ernest Pak, 37, and Aloysius Chan, 29, as well as business consultant Lina Ang, 42, were among a dozen members who accompanied party chairman Desmond Lim Bak Chuan in giving out leaflets and Singapore flags at Sengkang Square. 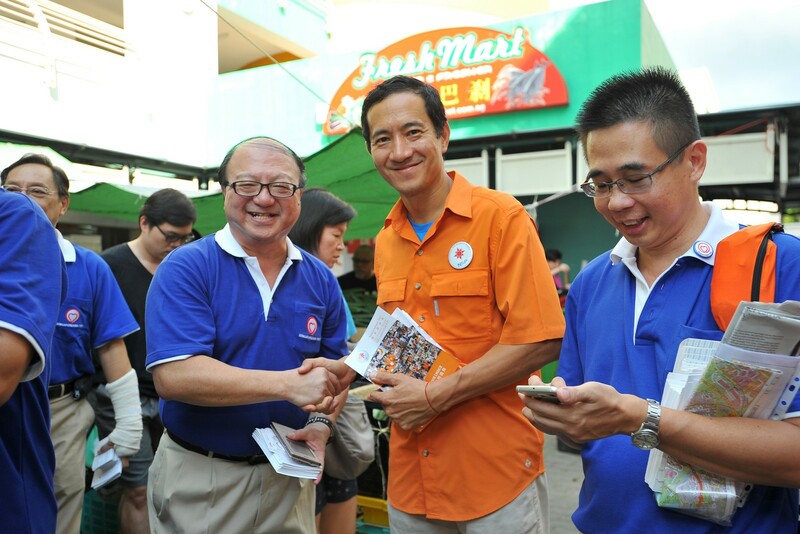 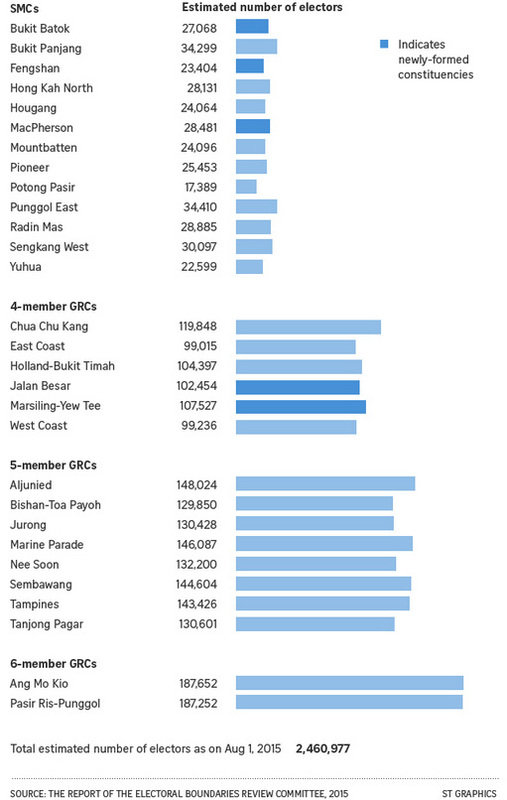 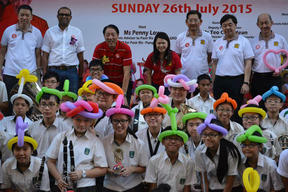 The SDA contested the GRC in 2006 and 2011, scoring 31.3 per cent and 35.2 per cent of the votes, respectively. 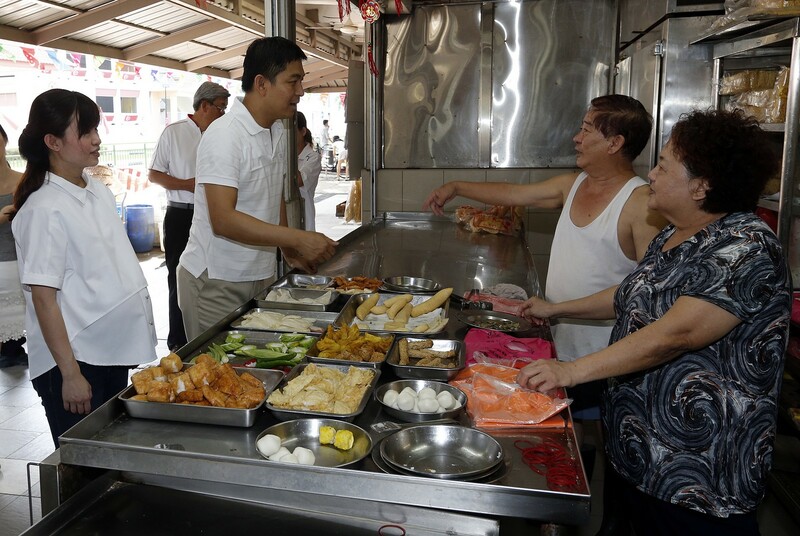 Mr Pak, who joined SDA last October, said he did so in order to highlight the sandwiched class of middle-income earners which he feels has been ignored by the Government. 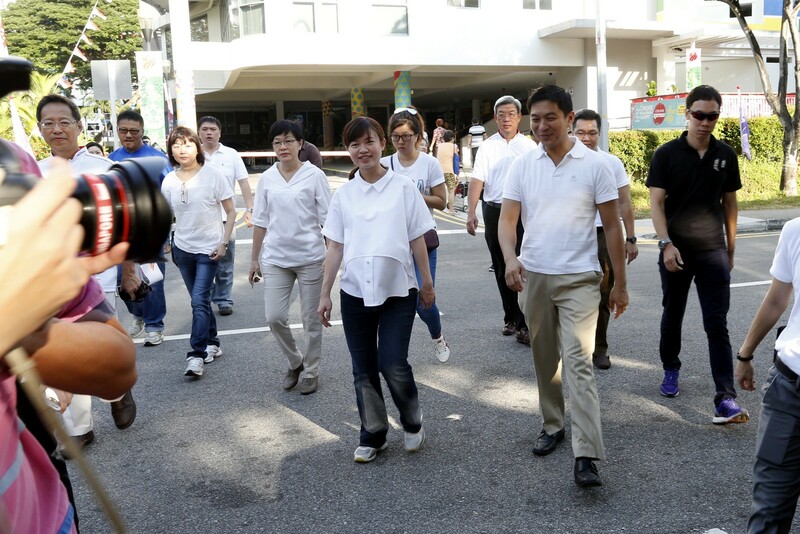 "That is why I decided to help the party, to voice out for this group, so they get help," he added. 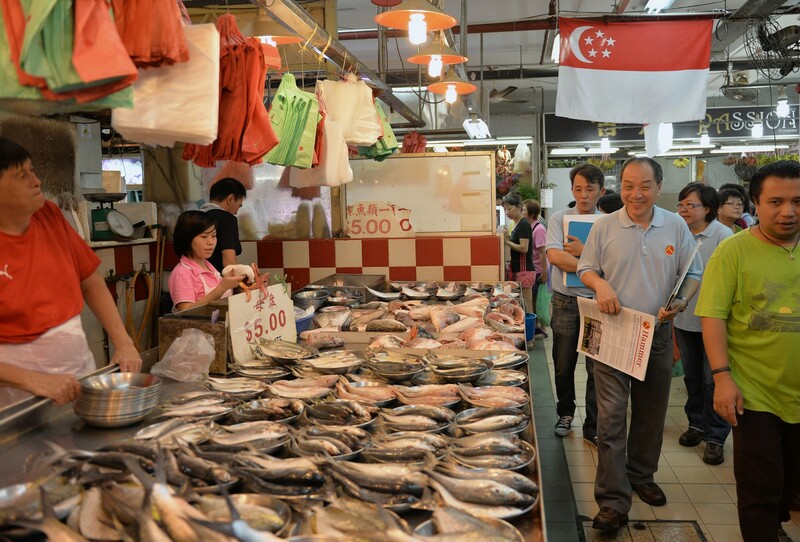 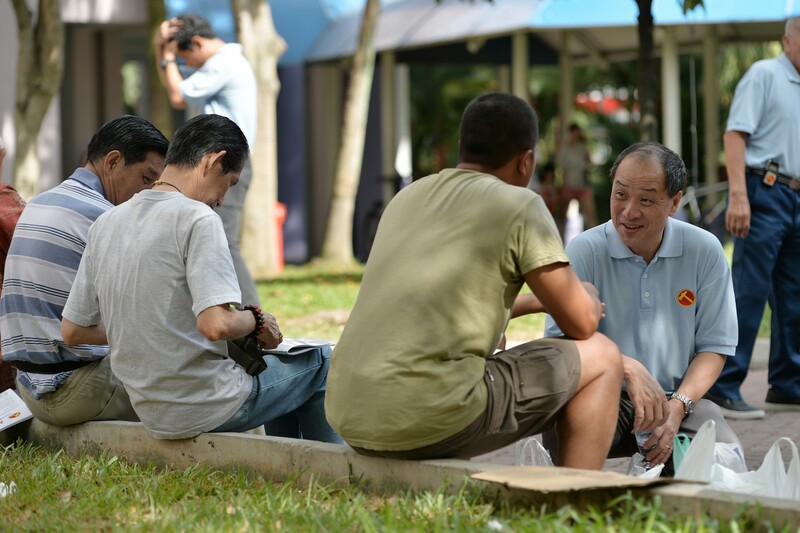 Mr Chan, who joined SDA in June last year, said two big issues stand out from talking to residents - difficulties cashing out Central Provident Fund savings and worries that Singapore is headed towards a population of 6.9 million. 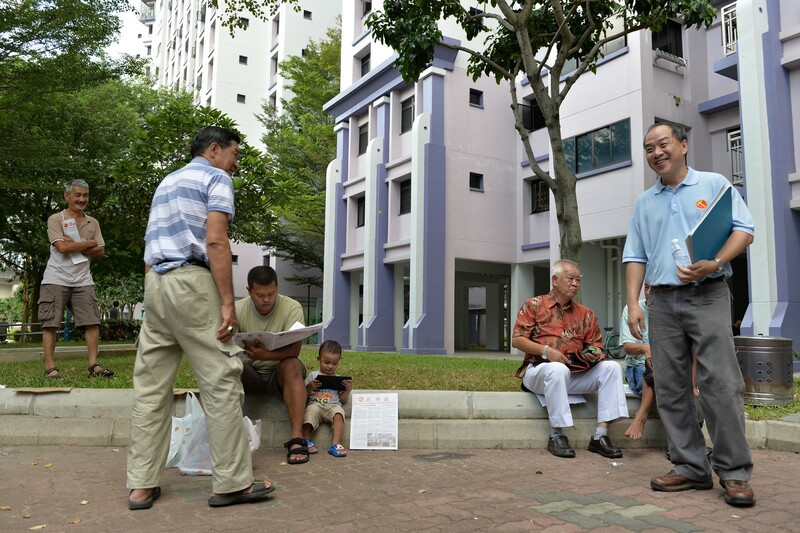 The figure is the top-end forecast of a Population White Paper that the Government put out in 2013. 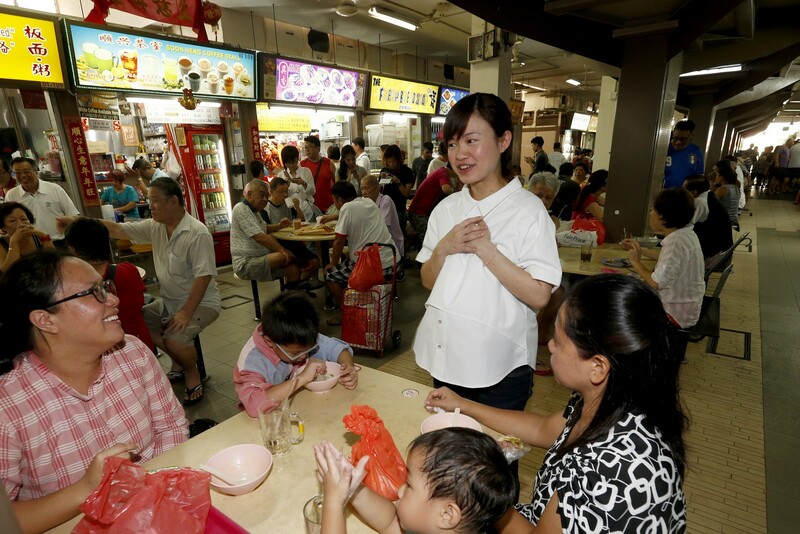 Ms Ang, who joined the party last month, is self-employed and used to head the Econ Careskill Training Centre, which trains domestic helpers and nursing assistants. 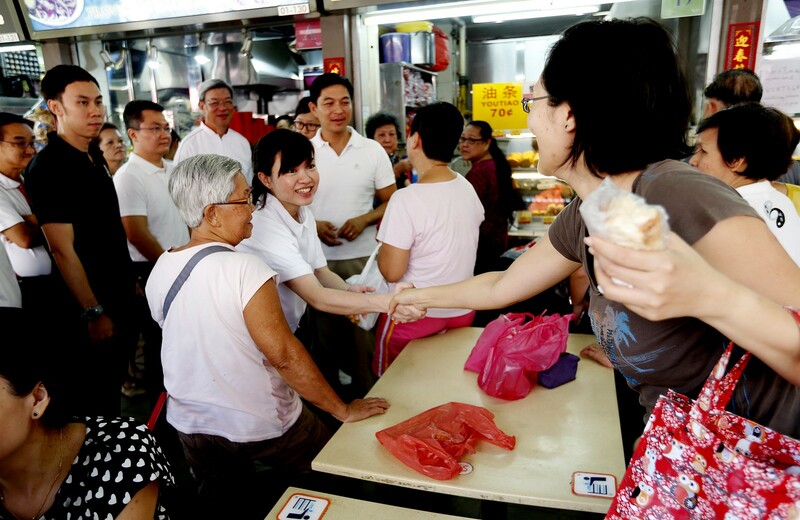 She hopes to champion the cause of more affordable healthcare. 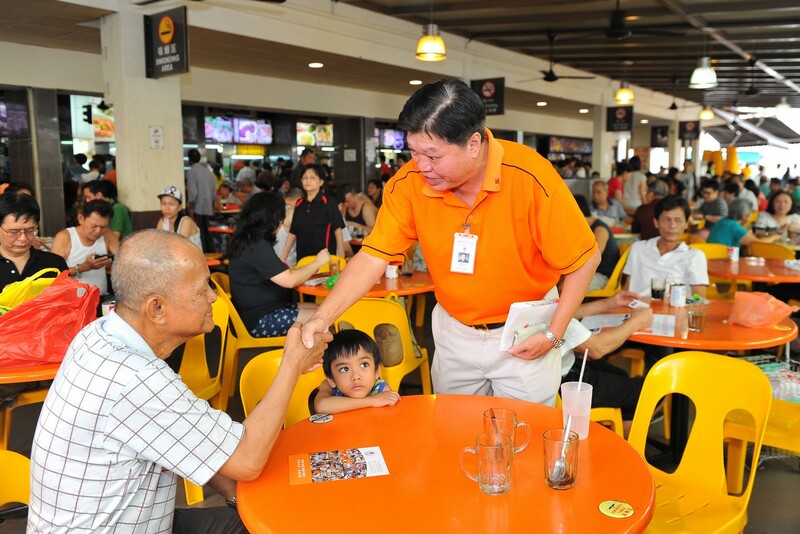 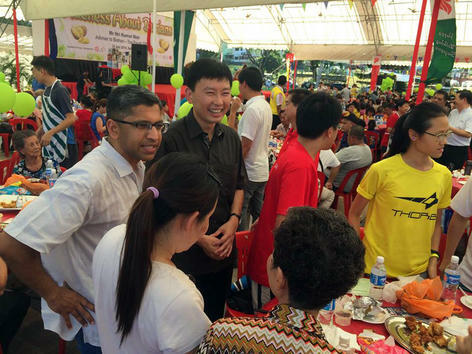 Also at the walkabout was SDA member Harminder Pal Singh, 43, a motivational speaker who led the party's Pasir Ris-Punggol GRC team at the 2011 general election. 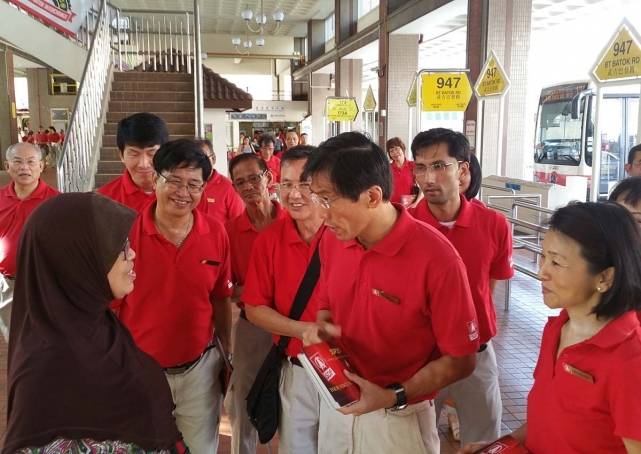 Other SDA members at the walkabout included Singapore Malay National Organisation president Abu Mohamed, 64, Internet marketer Sofyan Ahmad Joyri, 42, businessman Ismail Mohamed Yaacob, 50, and project manager Kuswadi Atnawi, 52. 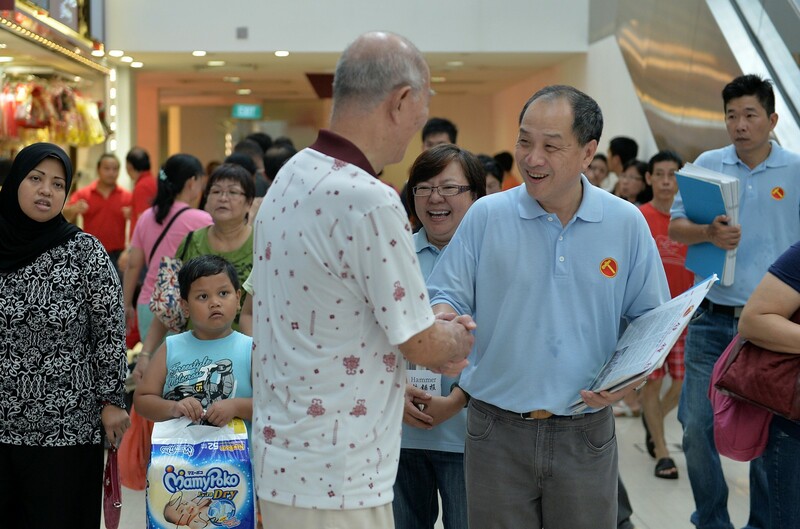 Mr Desmond Lim told reporters "ground sentiment is good", and the SDA is "firm and committed to the Pasir Ris-Punggol residents". 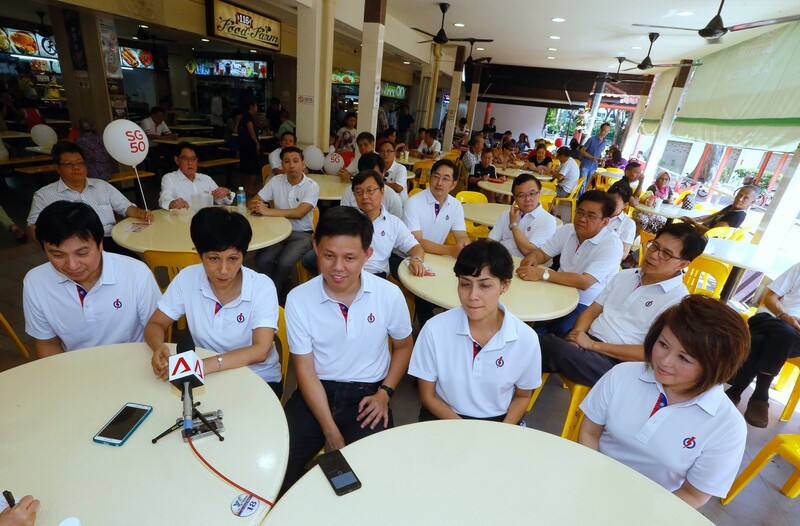 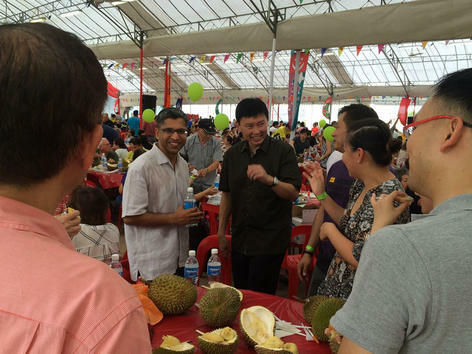 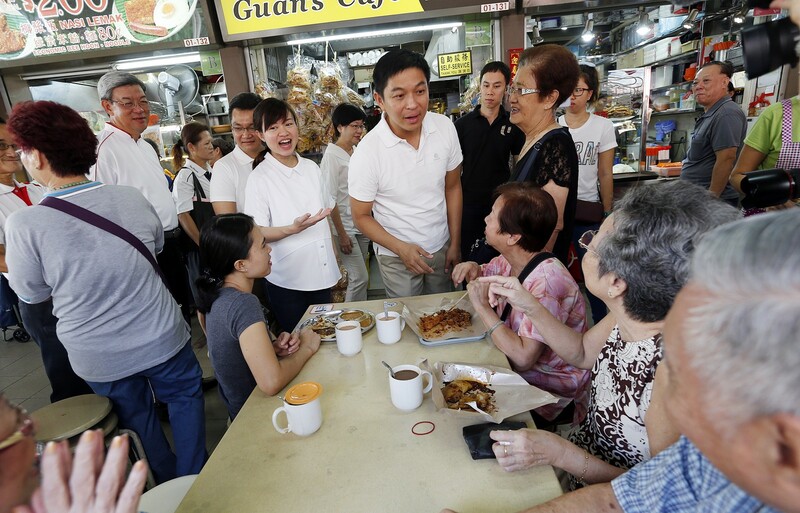 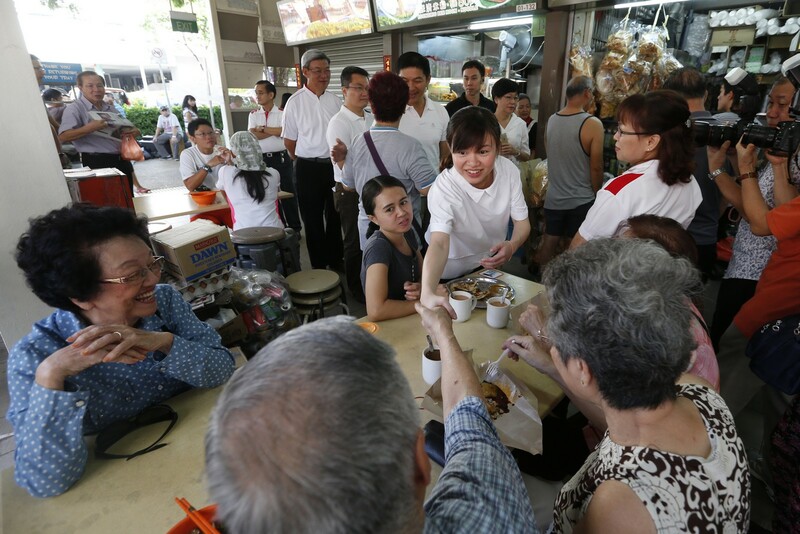 "We will be fielding a diversified team which consists of different age groups and different professions to represent Singaporeans, to enter Parliament to voice their concerns," he said. 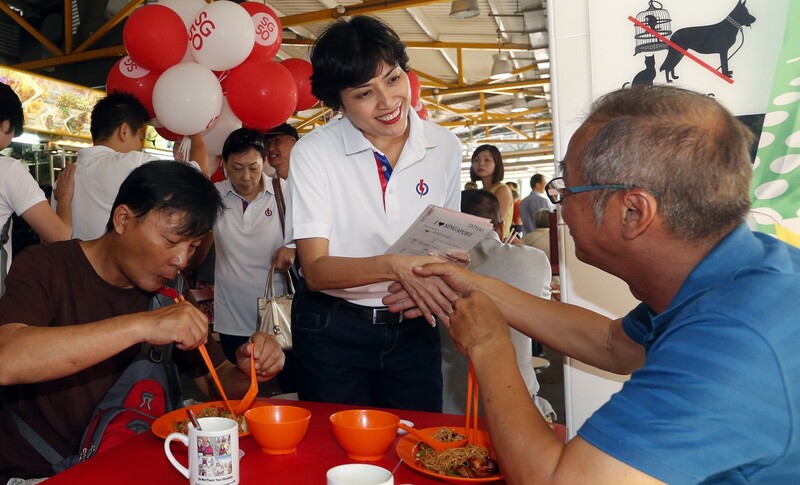 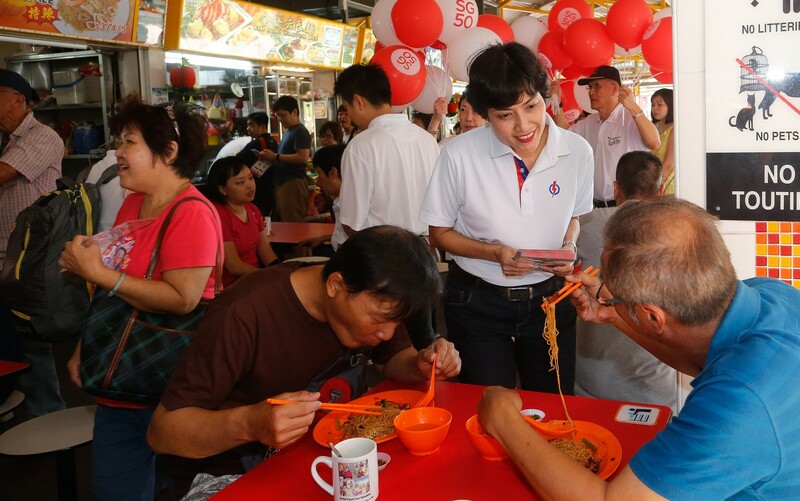 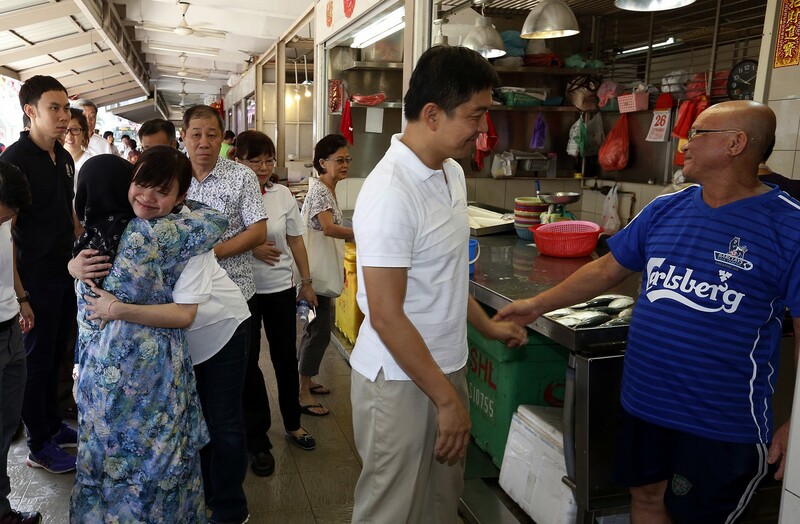 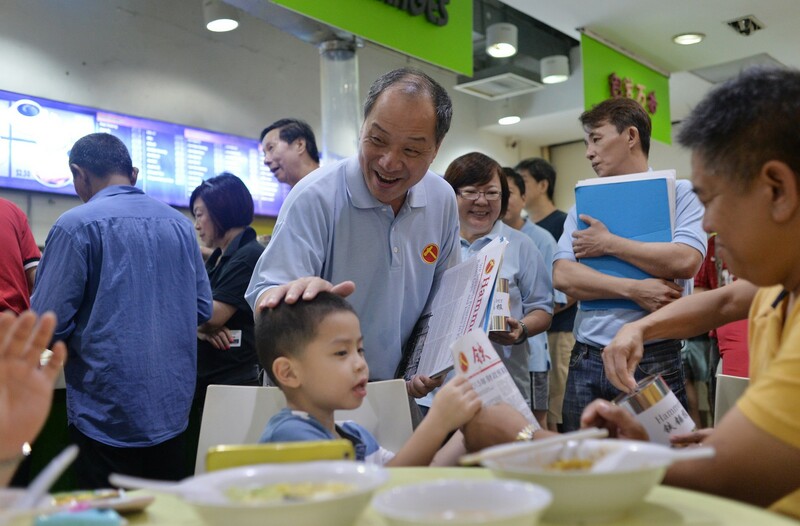 He also said his party would be campaigning on such issues as immigration, overpopulation and the lack of infrastructure, as well as getting the Government to spell out in the Constitution the rights of "true-blue Singaporeans".